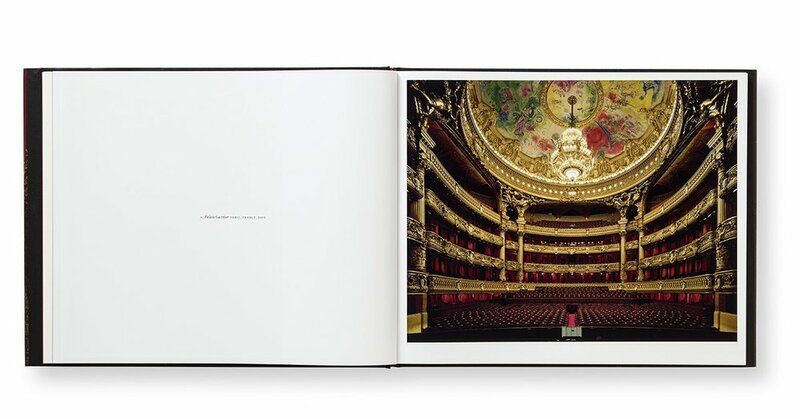 Opera is a book of photographs by David Leventi that documents the world's great opera houses. The book is in an oversized format of 11 ¼ by 14 inches. 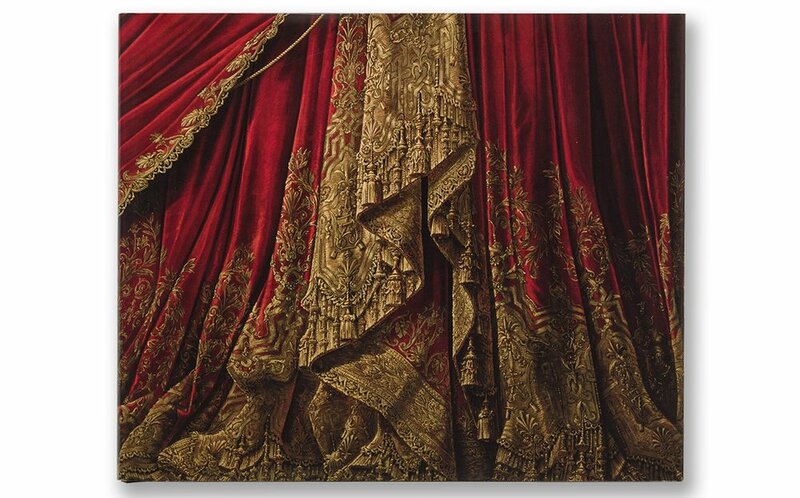 The bookjacket pictures the trompe l’oeil red curtains at the Palais Garnier in Paris, with no cover typography. Inside, the progression of opening title pages leads up to the portfolio, dramatically announced with the single word "opera" appearing embossed in gold on a single page of red. The simple, straightforward layout of the book puts the spotlight on Leventi’s photographs and the interior of each opera house. My role was to create the typographic system that is elegant and legible. Keeping the balance in the spread was a challenge because the typography must not overpower the rich visuals Leventi provides. Rather, it must empower the experience of immersing into the story each photograph holds. Working closely with David Leventi and under the art direction of Luke Hayman, Pentagram’s Partner, I was able to establish title typography set in the sharply serifed Beaufort, designed by Nick Shinn; text set in Superior by Jeremy Mickel. The volume closes with a section of architectural notes on each landmark, written by Thomas Mellins.